...you could stand your spoon up in it. 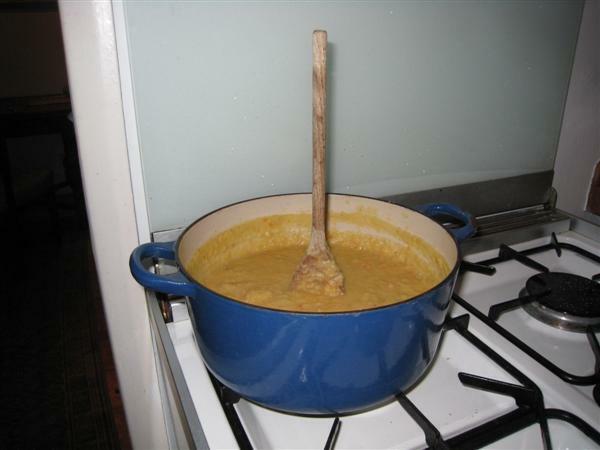 Mary made a batch of lentil soup on Sunday using a recipe from The Soup Kitchen. I gave it a stir and thought "A spoon would stand up in this" so I did. Need need for CGI trickery here!